Eating disorders are life-threatening illnesses. The best way to deal with anorexia, bulimia, and other eating disorders is to undergo a full course of treatment as soon as possible. Your health insurance should be there to help you cover the cost of treating your serious health condition. Unfortunately, your insurance company may make it difficult to get access to the benefits you deserve. If you have been denied insurance benefits that should be covered under your plan, we can help. 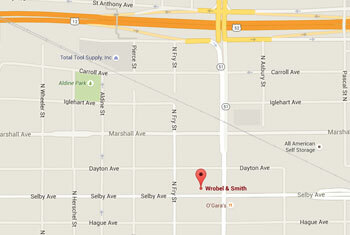 At Wrobel & Smith, PLLP, our attorneys have decades of experience handling complex insurance concerns. 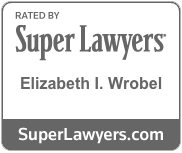 Attorney Elizabeth Wrobel is an experienced litigator, with more than 20 years of court-room experience. She can put those skills on your side, using effective strategies to advise and assist you with your insurance dispute. Eating disorders are complex. For treatment to be effective, it is often necessary to address medical and psychiatric issues that led to the problem. Health insurance companies may deny coverage by declaring that it is not medically necessary. They may be willing to pay for a less expensive treatment that only addresses the physical component of your eating disorder. This is shortsighted, of course, as a sustained recovery is more likely when you receive all the necessary and recommended treatment prescribed by your providers. You deserve effective treatment. Your health insurance company should live up to its contractual obligation to cover the cost of your care. To make that happen, you may be forced to go through the appeals process or even sue your health insurance provider. We can help. When you are fighting for your health, it seems unfair to have to fight with your insurance carrier. Our volunteer work with The Eating Disorder Coalition and The Emily Program Foundation has given us a clear understanding of the many ways that eating disorders can affect sufferers and their families. We have the experience and resources to give you the high-quality support and advocacy you need. When you have questions, we will be there to answer them fully. We want to empower you to move forward with your life by getting the benefits you are owed from your insurance company. 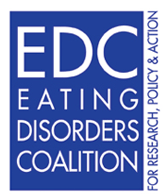 As a Member Organization, Wrobel & Smith proudly supports the Eating Disorders Coalition’s mission and call to action. Elizabeth has attended several Lobby Days in Washington D.C. on behalf of the EDC and spoke at its October 2011 Congressional Briefing, where she discussed insurance barriers to accessing medically necessary eating disorder treatment. To discuss your concerns about insurance coverage for eating disorder treatments, call us at (651) 788-0236 or contact our legal team online. We offer free initial consultations.